Gadrooned beads (most commonly known as melon beads) are another style that has been around for millennia. Melon beads are beads that have convex decorations around the edge that make it look a bit like a melon. Archaeologists tend to refer to these as gadrooned beads, since that’s what Beck usually calls them and archaeologists tend to go with what Beck said. Also, there are plenty of gadrooned beads that don’t quite resemble melons, so gadrooned works a bit better. Melon Bead from Scotland, held up by a paperclip. Generally speaking, the gadrooning is created either by hand or by running a curved tool down the side of the glass before it’s cooled. But since these beads can be drawn, wound, folded, or molded, some melon beads may well be created by pouring glass into a mold. 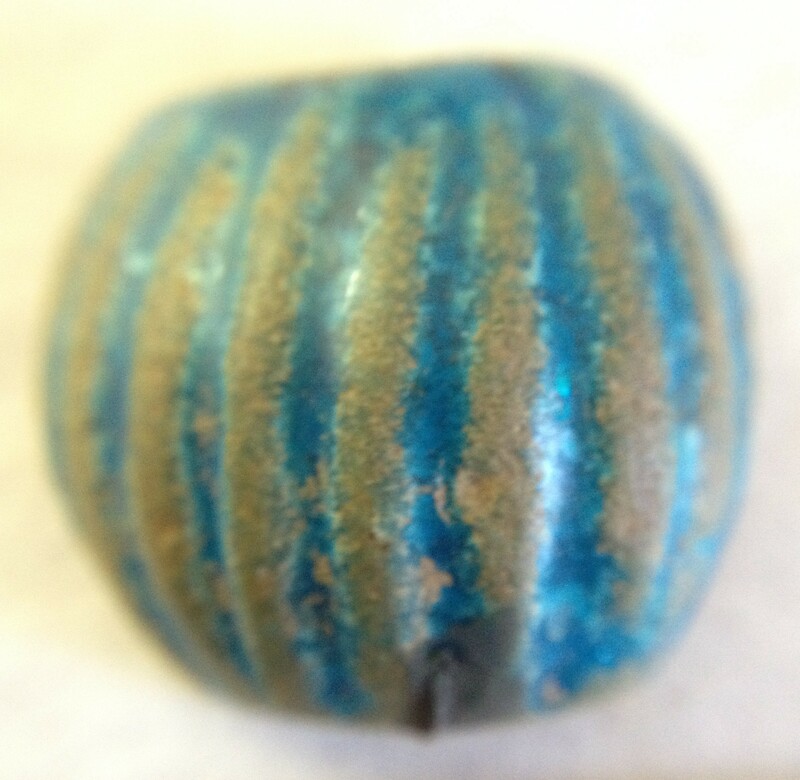 You can also have faience, stone, metal, or metal-foil melon beads. Melon beads are found nearly everywhere, and the Romans were especially taken with them. 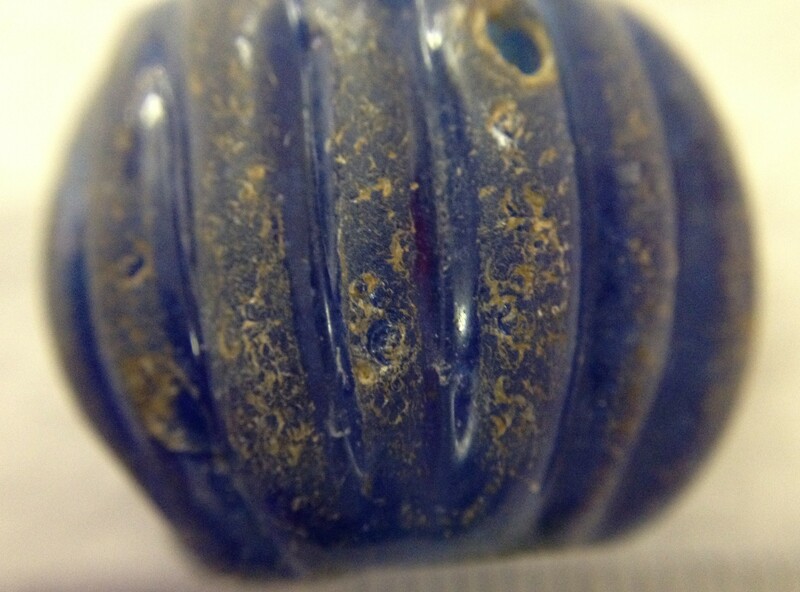 Faience melon beads are found at nearly every Roman site between Hadrian’s Wall and the Antonine wall, and there are also glass examples that are a deep cobalt blue. I’ve also seen melon beads from potentially Norse contexts and also in the Middle East, South Asia, and Southeast Asia. It’s possible to have segmented melon beads, though the example I’ve seen seems more like two melon beads fused together. 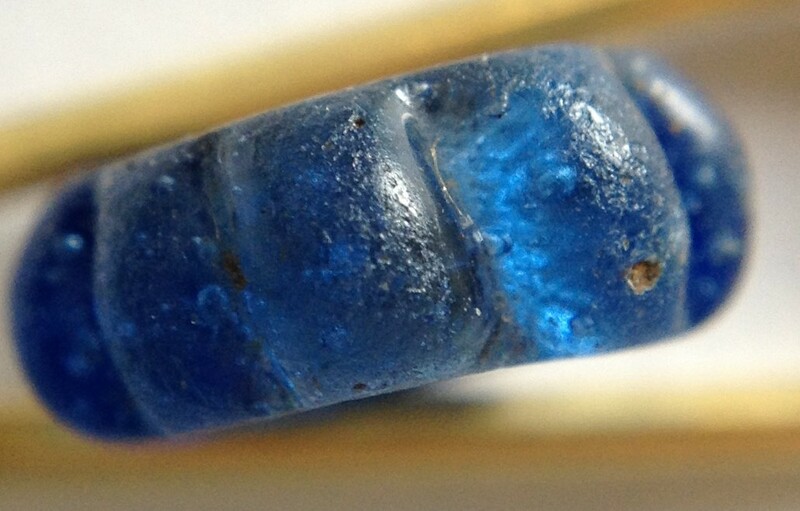 Generally speaking, I most often see blue melon beads. That might be because blue is a very popular color for glass beads, but I don’t often see red melon beads or yellow melon beads. That doesn’t mean they don’t exist, and they may be very popular in regions I’m not as familiar with. But blue seems to be a popular color for melon beads, followed by other darker colors like black or purple. Heather is an archaeologist, photographer, and writer whose research focuses on beads and bead trade, particularly in a maritime sense. She's currently working working on a PhD in Digital Design (focusing on heritage visualisation) at the Glasgow School of Art. 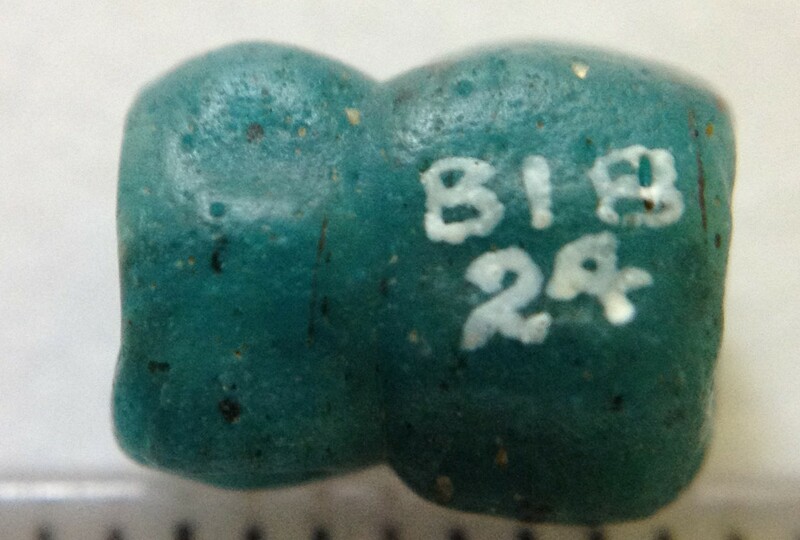 This entry was posted in Bead Types and tagged archaeology, artefact, bead, faience, glass, history, middle east, rome, south asia, southeast asia, stone, terminology, typology. Bookmark the permalink. If you're interested in helping to fund this research in any way, go check out my Fundrazr page! What is the Purpose of Heritage Visualisation?